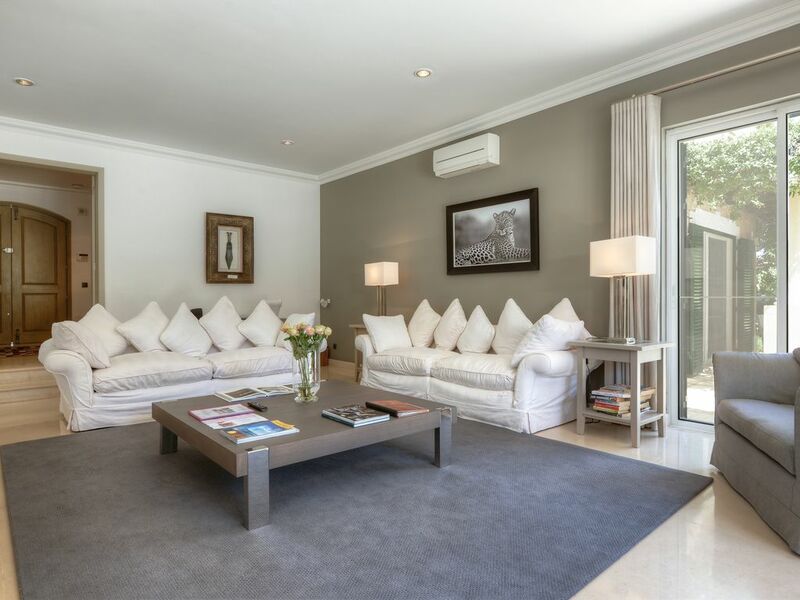 A luxurious 6 bedroom villa located in Holiday Villa to rent in Dunas Douradas - within a 5 minute walk to the the beach. 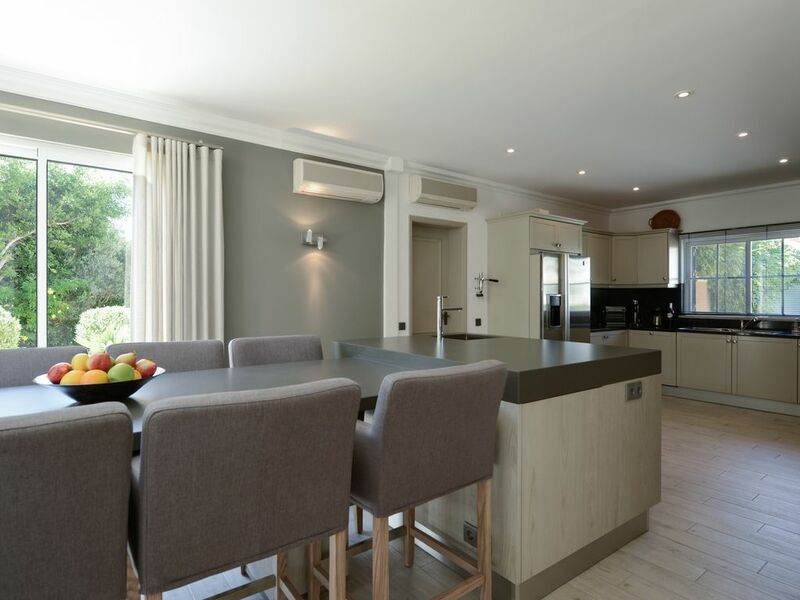 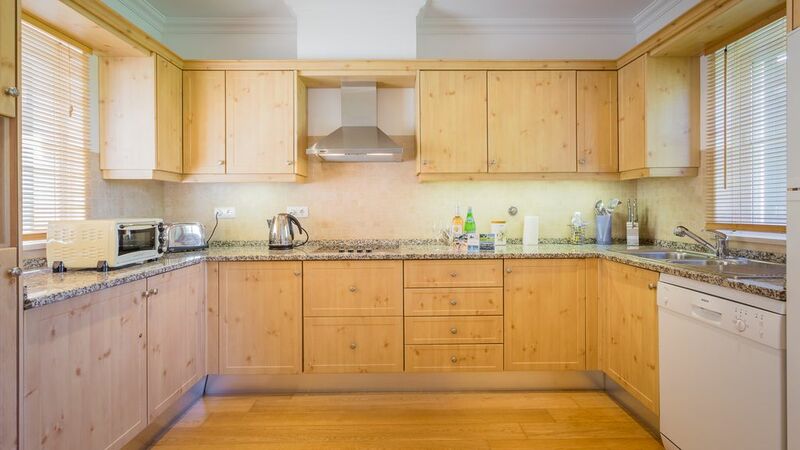 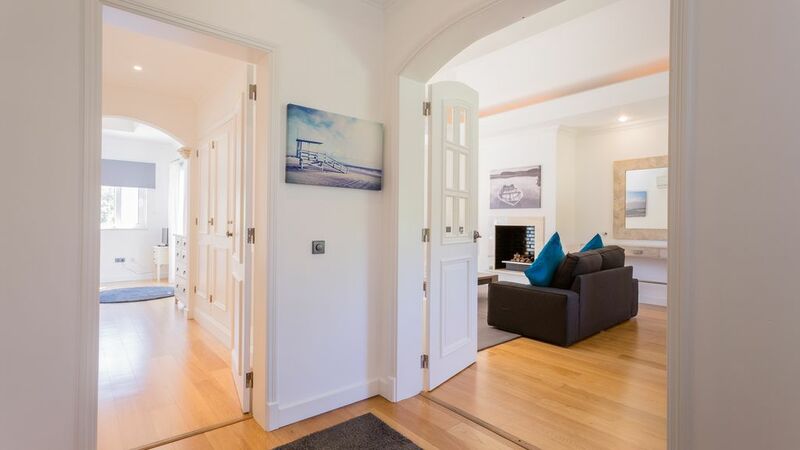 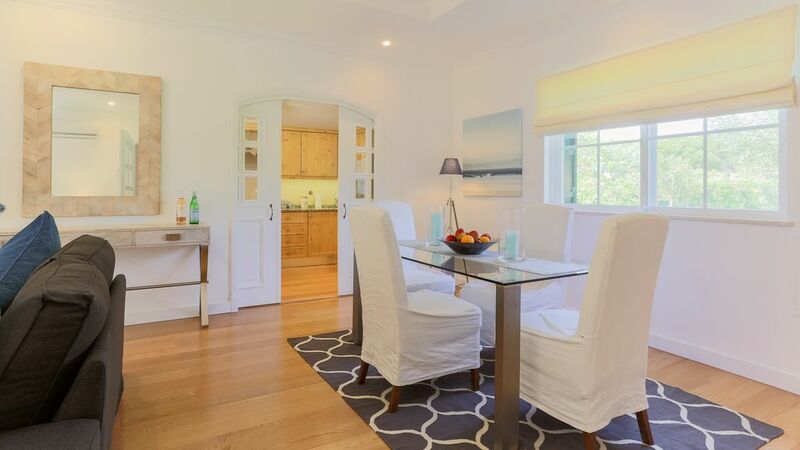 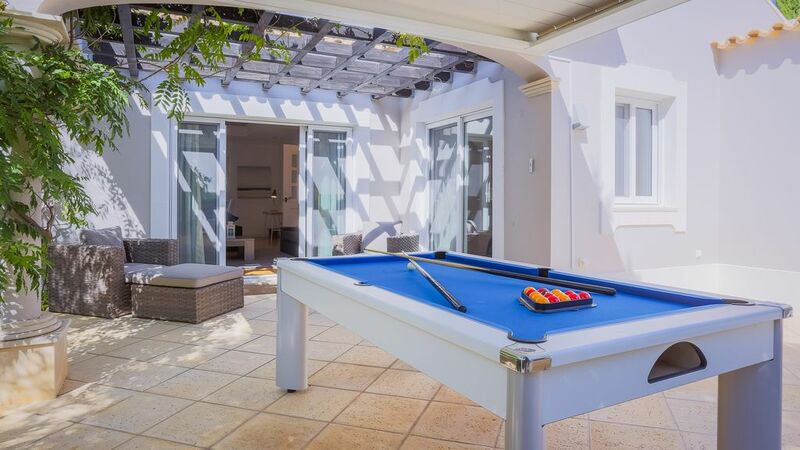 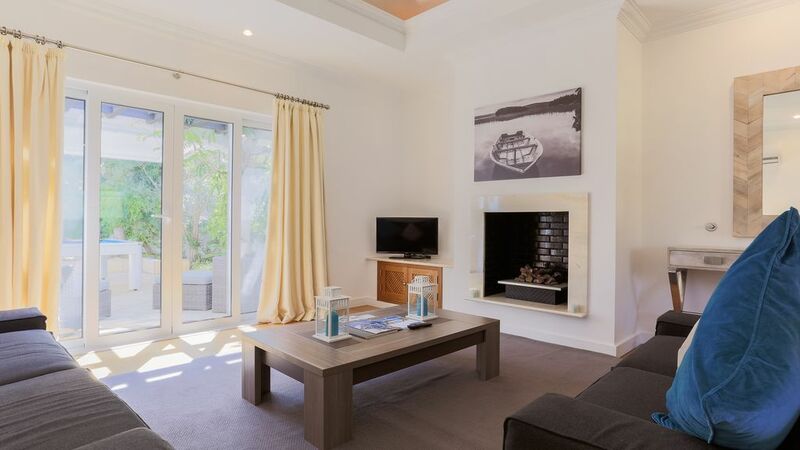 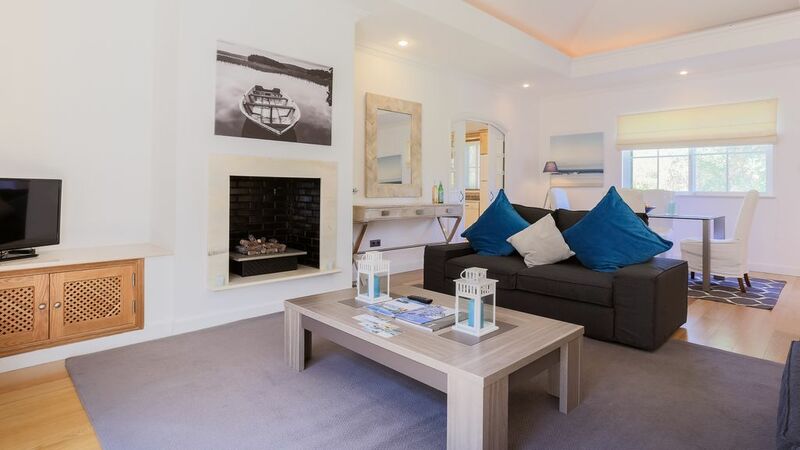 This property comprises of a spacious, open-plan lounge featuring a fireplace and direct access to the terraces and a fully fitted and equipped kitchen with a breakfast bar. 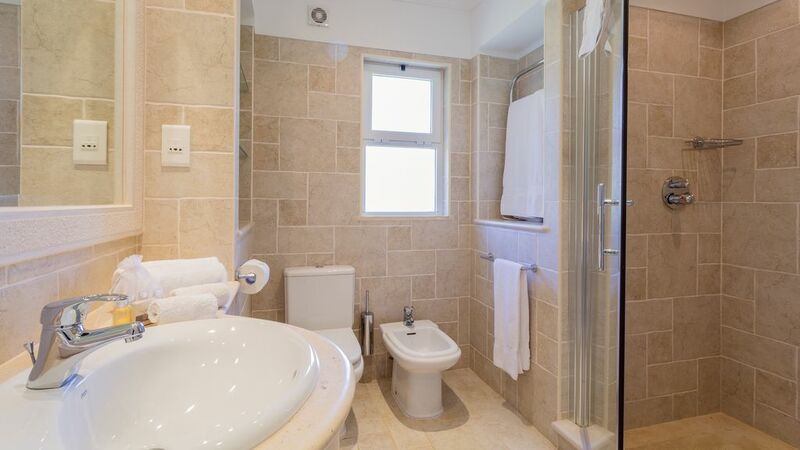 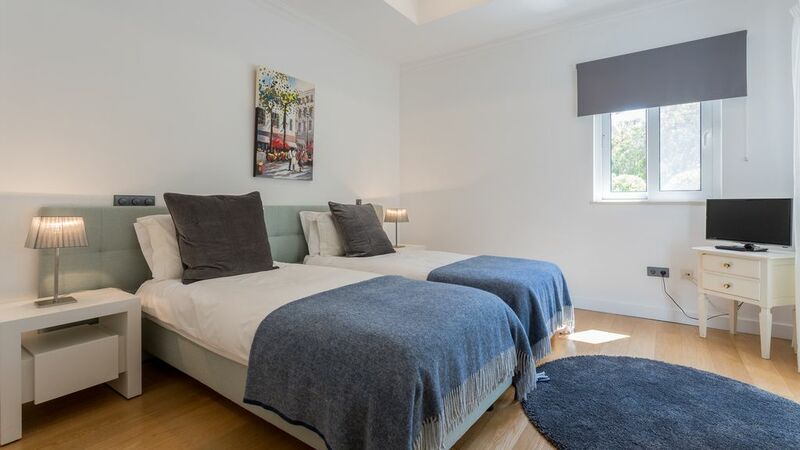 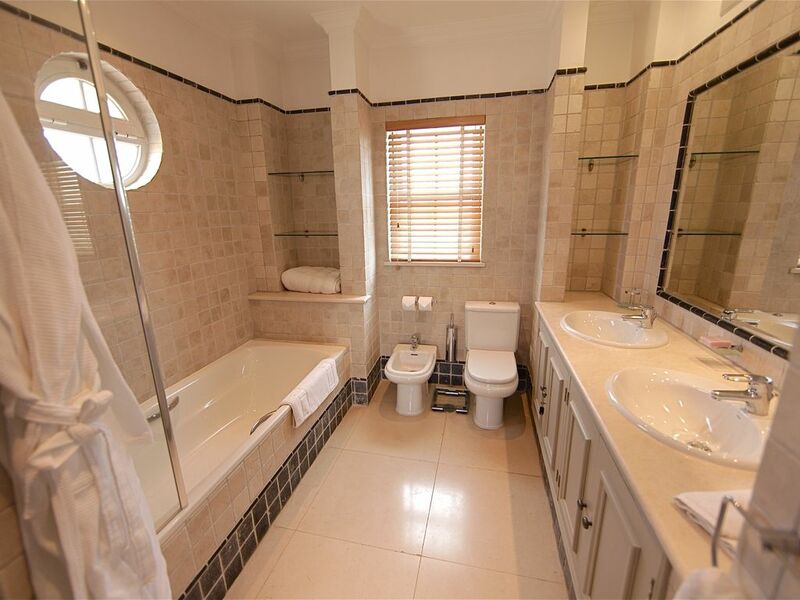 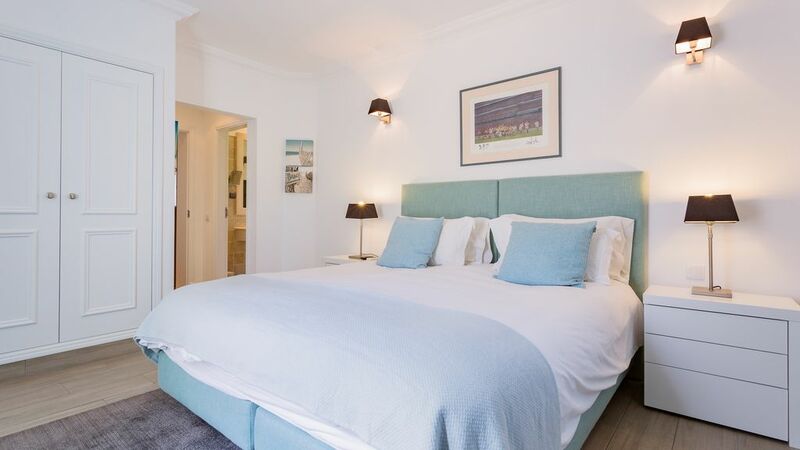 There are 2 bedrooms located on the ground floor, one of which is en-suite and both have access to the terrace. 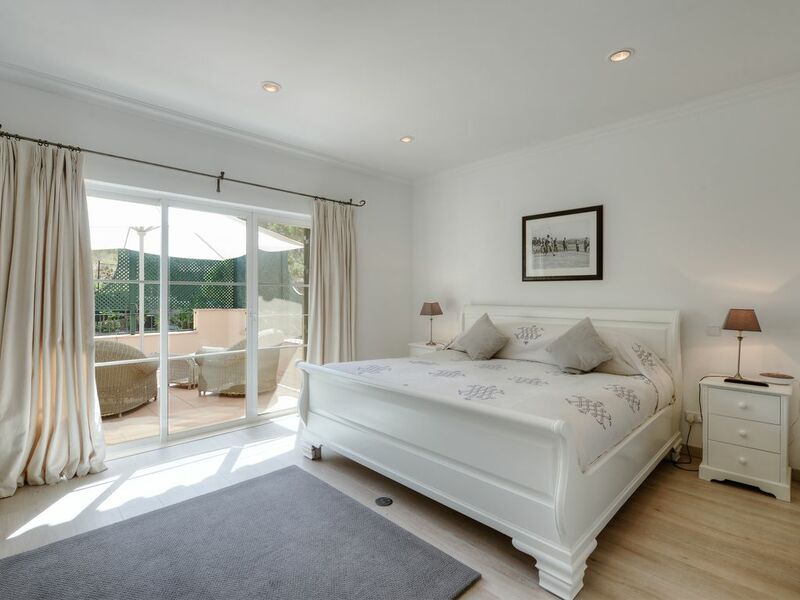 The master suite is located on the first floor and features a seating area and its own private terraced seating area, views towards the surrounding garden. 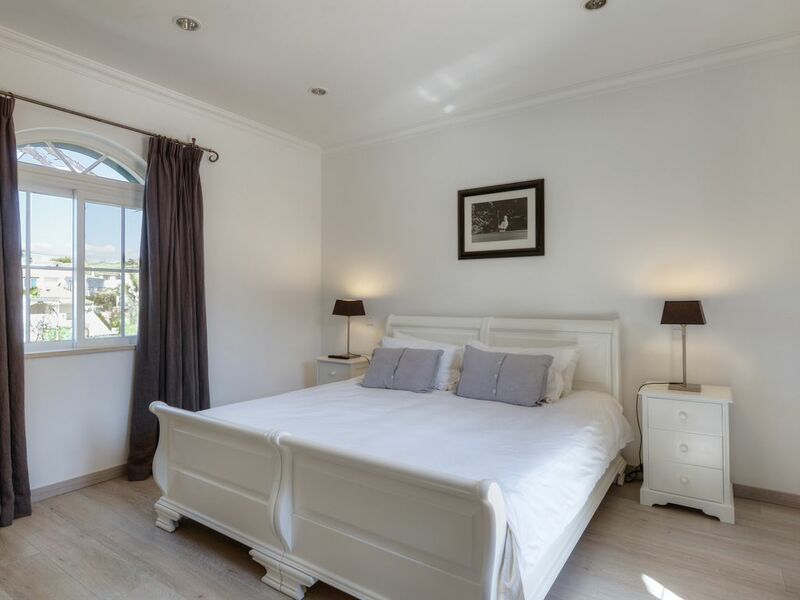 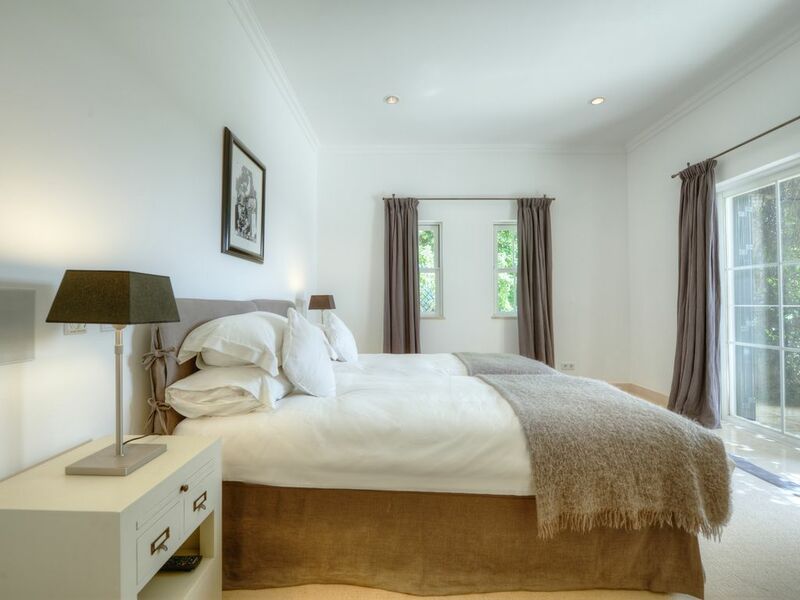 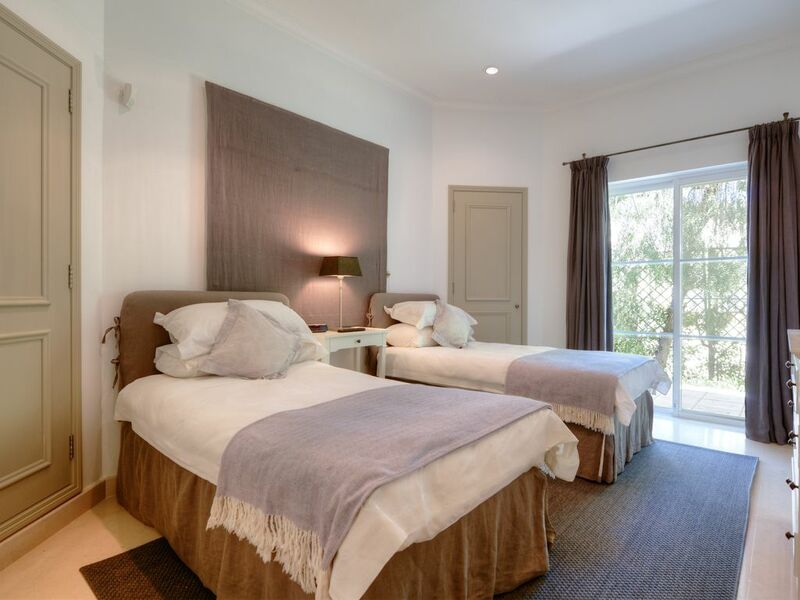 The master guest bedroom is also en-suite and also features its own private terrace. 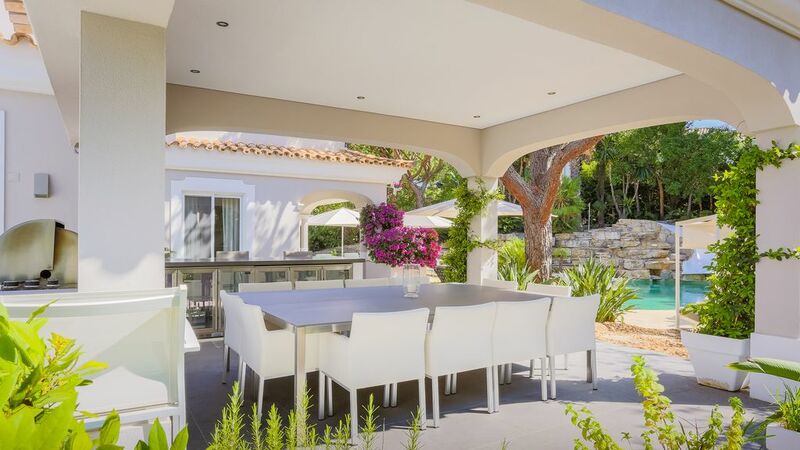 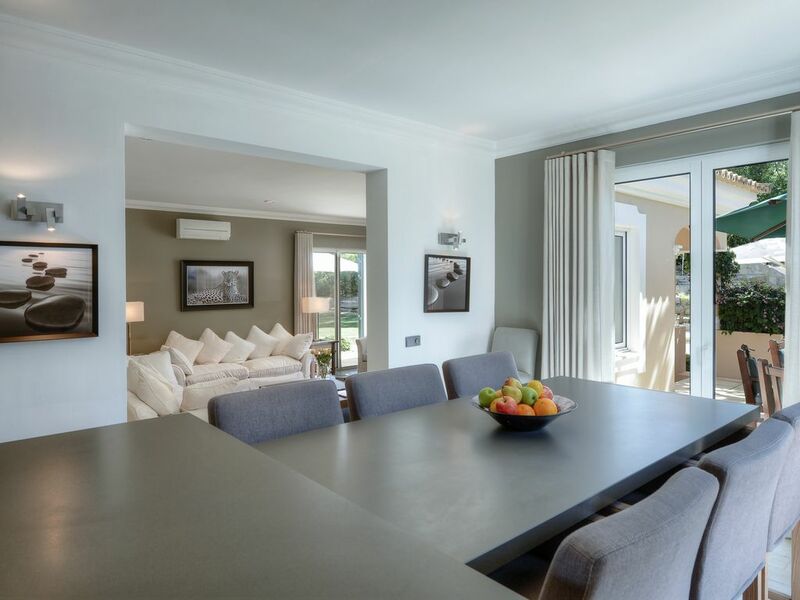 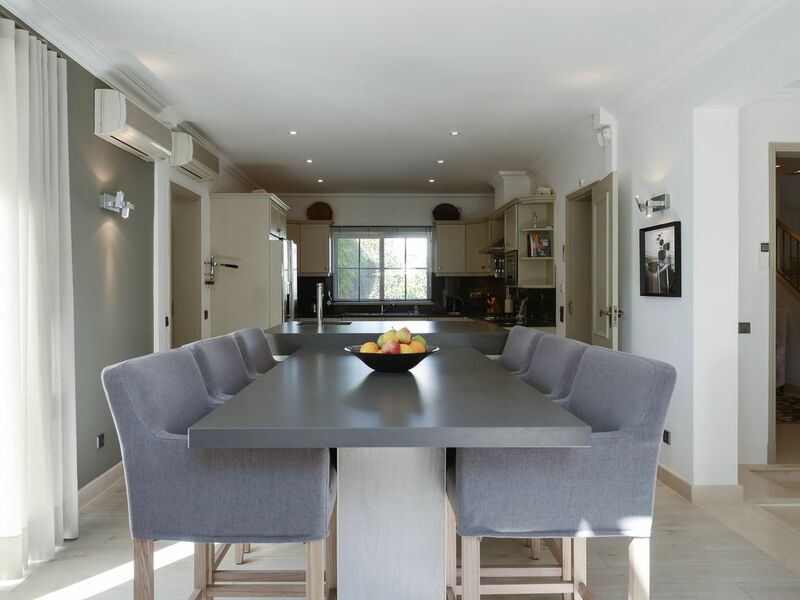 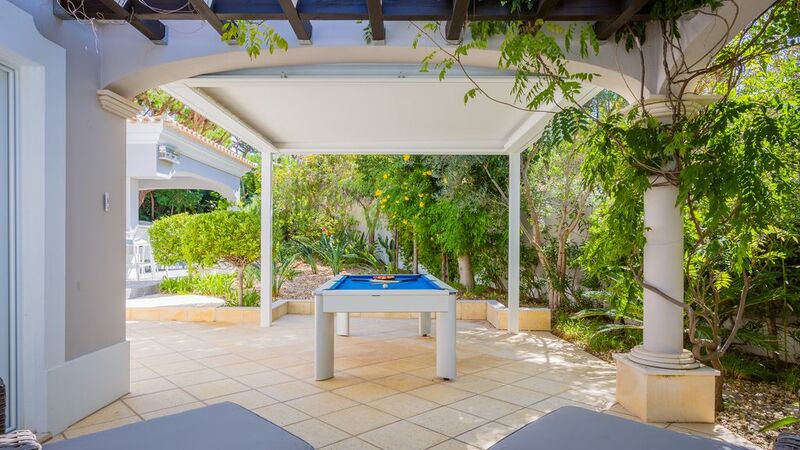 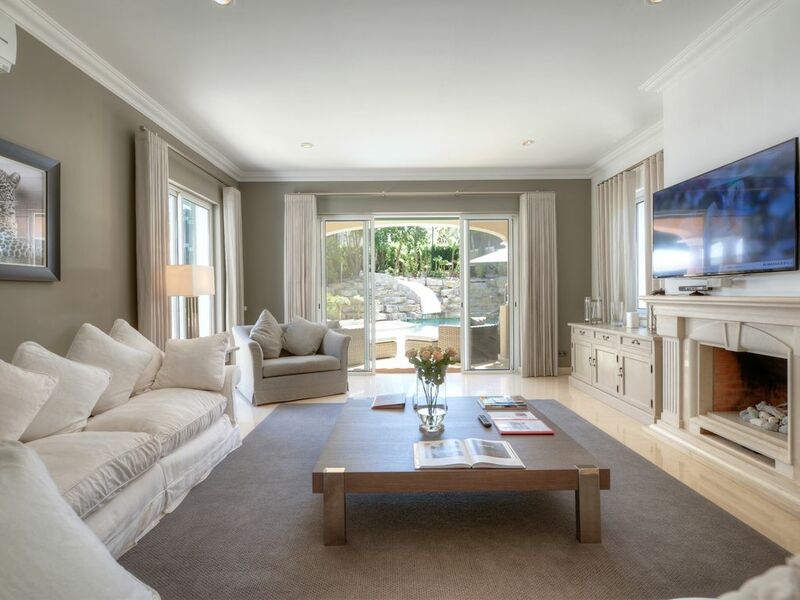 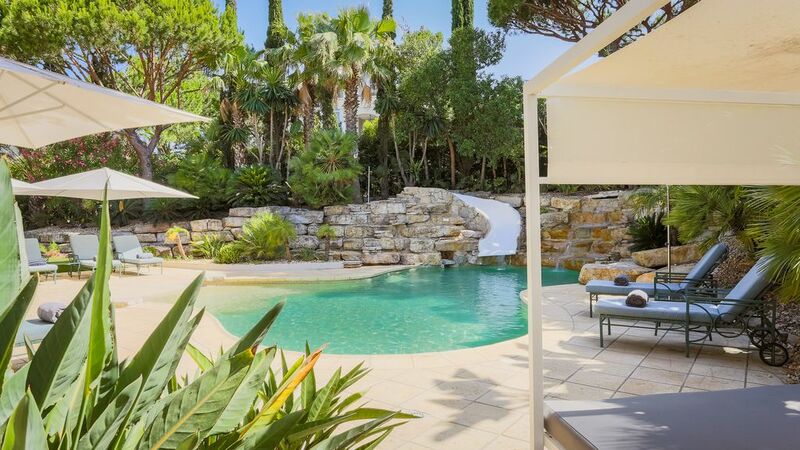 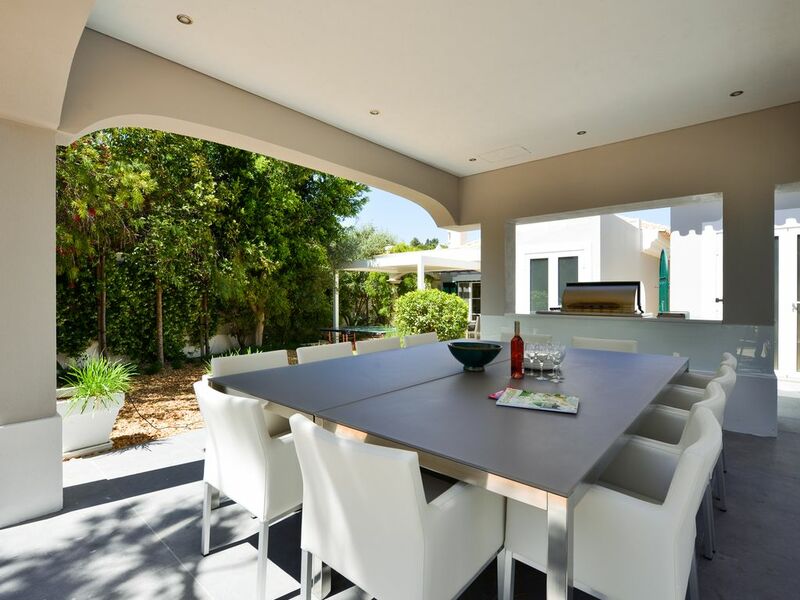 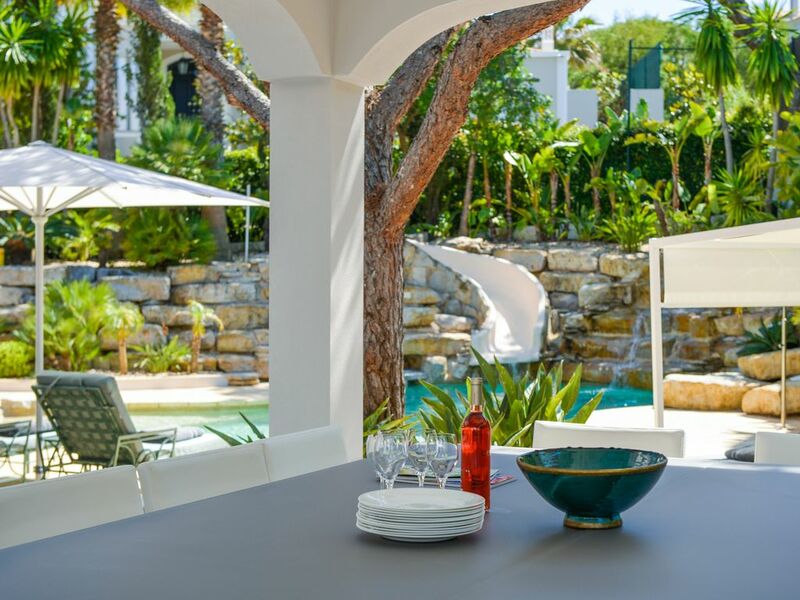 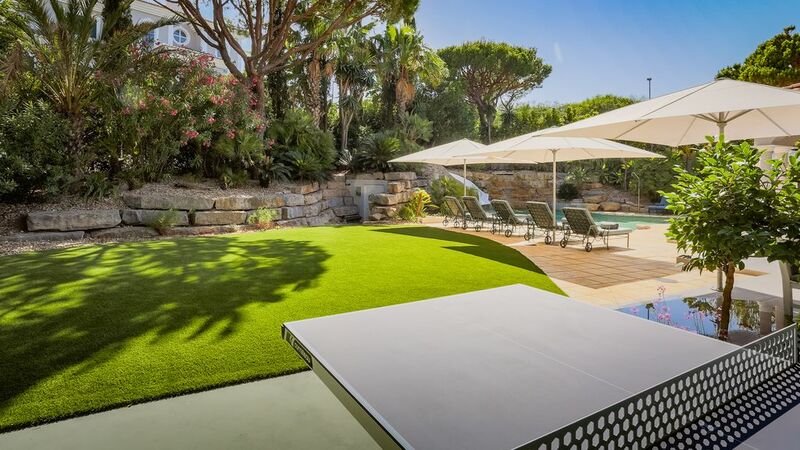 The exterior of the property is perfect for those who would like to enjoy the Algarvean climate featuring, a large heated swimming pool with a cascade and slide, plenty of space for the sun loungers, a landscaped garden, an "al-fresco" dining area and a BBQ. 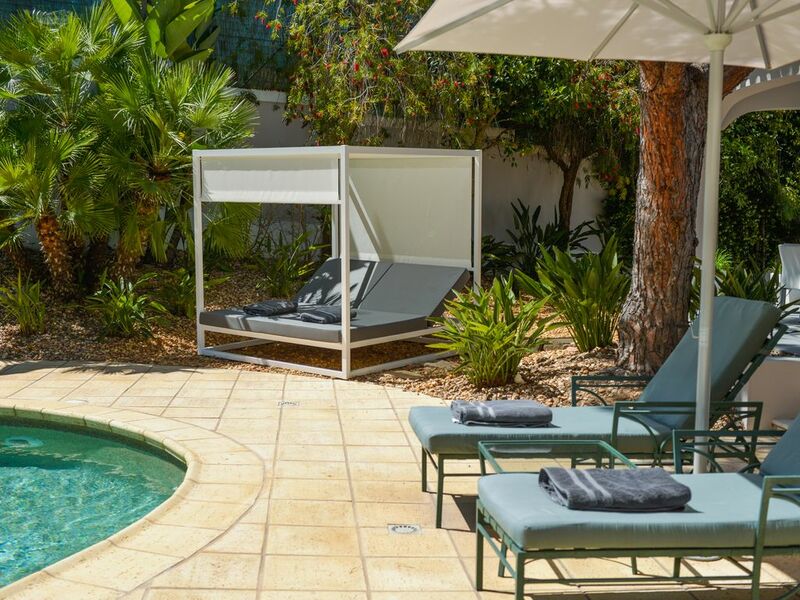 Dunas Douradas is a well known and highly regarded resort for families since many years. 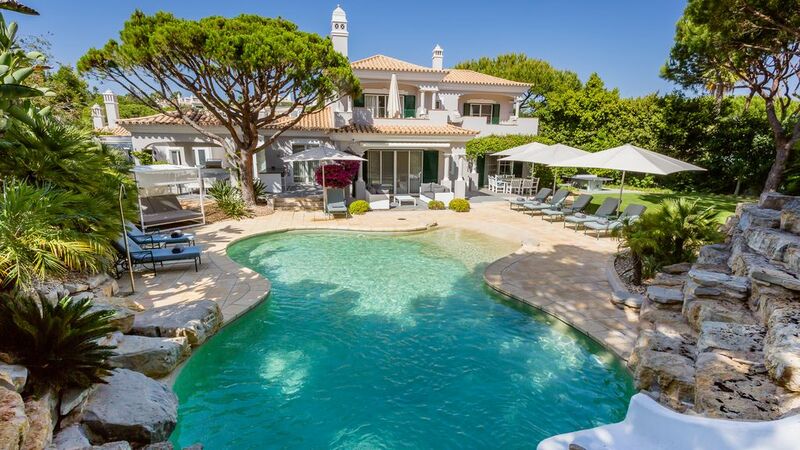 The restaurants at Julia's Beach and Vale do Lobo Praça are within 10-15 minute walk along the beach. 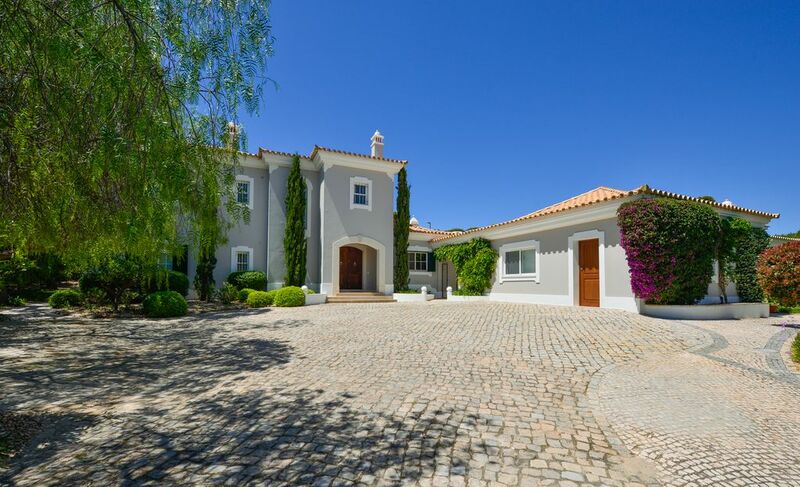 For the golfers; Some of the world's distinguished golf courses are only a short driving distance away such as the Vale do Lobo Royal and Ocean, Quinta do Lago South and North, Laranjal and São Lourenço golf courses are just a few. 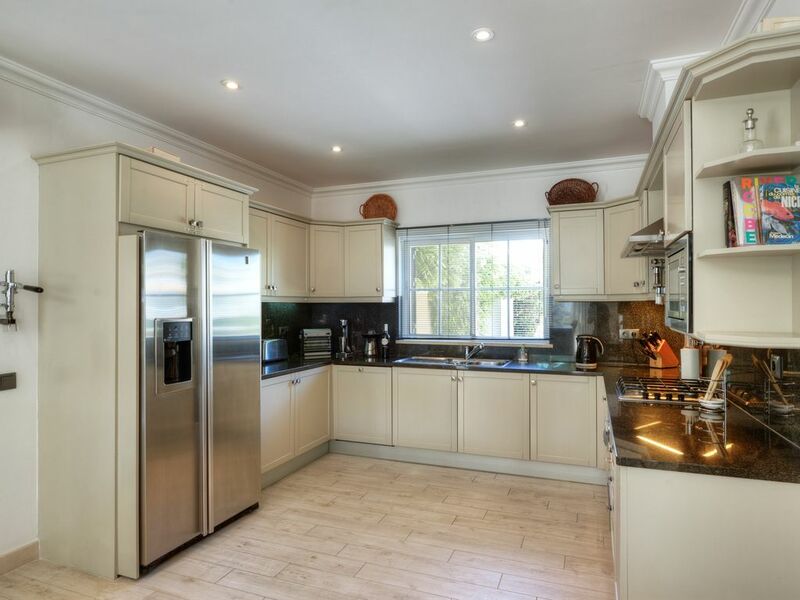 Please note that in July and August this property can only be rented as a 6 bedroom.